Chain BS breakdown kit. 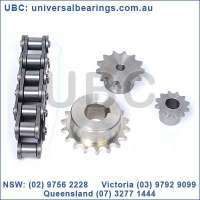 There are actually two types of links alternating in the bush roller chain. 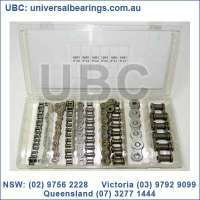 The first type is inner links, having two inner plates held together by two sleeves or bushings upon which rotate two rollers. 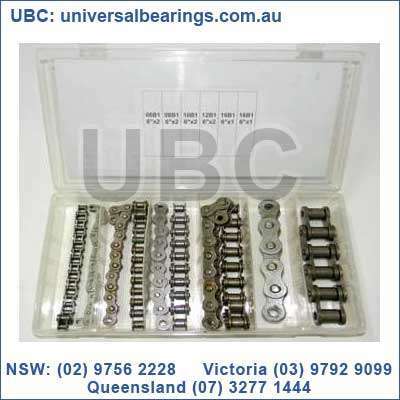 Inner links alternate with the second type, the outer links, consisting of two outer plates held together by pins passing through the bushings of the inner links. The bushingless roller chain is similar in operation though not in construction; instead of separate bushings or sleeves holding the inner plates together, the plate has a tube stamped into it protruding from the hole which serves the same purpose. This has the advantage of removing one step in assembly of the chain. This distributed the wear over a greater area; however the teeth of the sprockets still wore more rapidly than is desirable, from the sliding friction against the bushings. 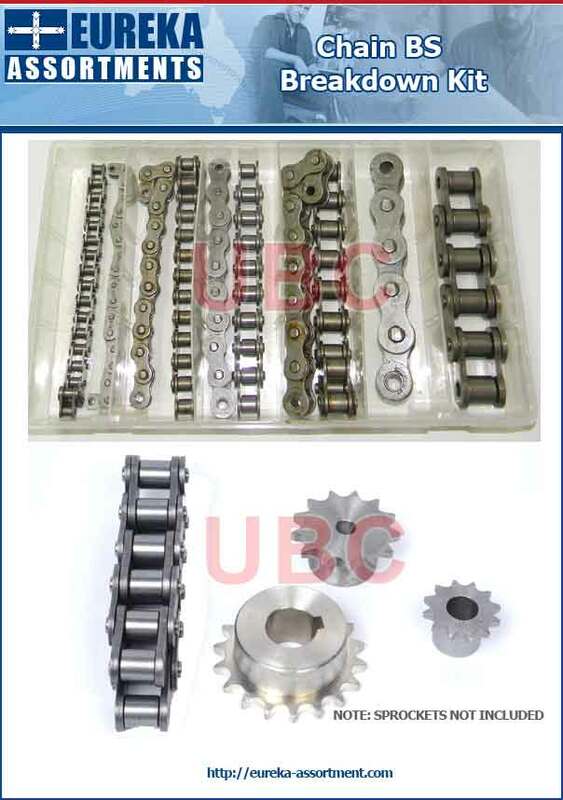 The addition of rollers surrounding the bushing sleeves of the chain and provided rolling contact with the teeth of the sprockets resulting in excellent resistance to wear of both sprockets and chain as well. There is even very low friction, as long as the chain is sufficiently lubricated. 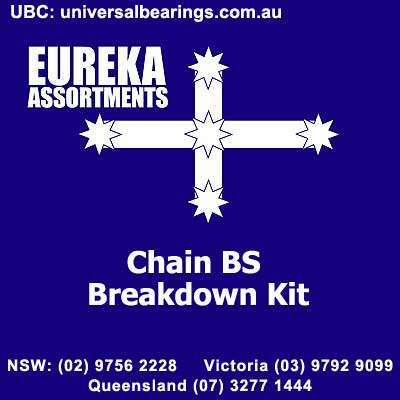 Continuous, clean, lubrication of roller chains is of primary importance for efficient operation as well as correct tensioning.